Most knitters that you speak to will have their own favorites when it comes to knitting needles. My personal favorite is plastic coated steel. I like the strength of the steel and the smooth feel of the plastic. I live in a reasonably hot climate and I don't like using steel needles in warm weather (my hands sweat and the wool gets stuck on the needles). But you do have other options, you can purchase bamboo knitting needles or wooden ones. Some knitters use knitting needles made of toughened glass. Knitting needles also come in various lengths and the set you purchase should be the correct length and size for the project you intend to work on. 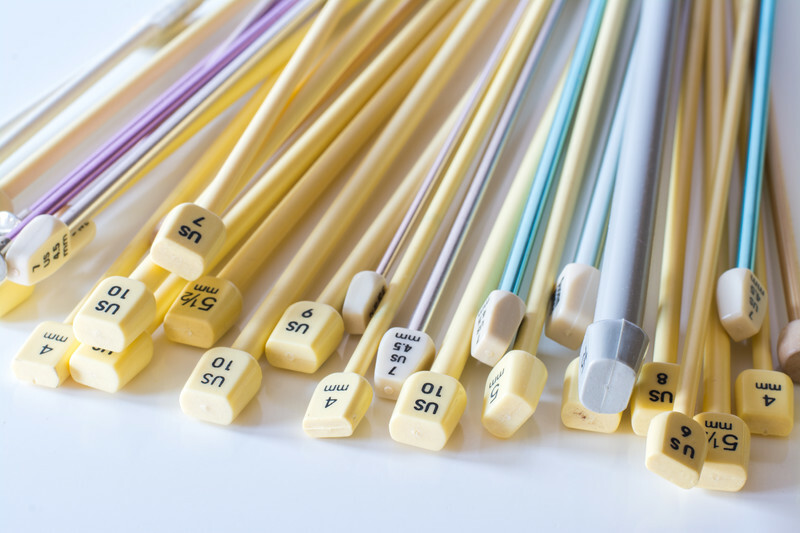 Then there are the special purpose knitting needles, like circular needles and double pointed needles for seamless knitting. If you are going to take up knitting, it might be a good idea to look into getting a knitting bag or tote to store your work. An adult jumper can take up to twenty 50 grams balls of wool and you will need somewhere reasonably safe to keep all of your pieces until you are ready to sew your garment together. A knitting bag or tote also makes it easier to take your knitting with you where ever you go. 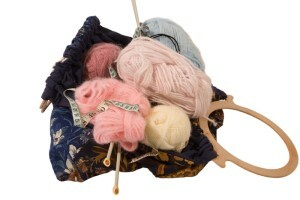 A knitting needle holder is also a good idea if you are going to have a collection of needles. In my collection I have multiples of each size of needle so that I always have a set available no matter how many other projects I have on the go! So I need something to keep the needles in. Believe me there is nothing more frustrating that only being able to find one needle of the right size - if they are all in the needle case I know where to find them! One of the other items you might like to pick up when you are buying your knitting supplies include knitting accessories like a good measuring tape, very handy to keep with your knitting in your knitting bag. A row counter is also a good idea. It is much easier to use a row counter than to count your rows by hand when your work is the right length! Knitting stitch markers can be handy as well, although I tend to just use a bit of wool (in a different color) to mark my work, I know a lot of knitters who use these little plastic thing-a-ma-jigs and swear by them. You can also get very long pins to hold your unfinished pieces prior to knitting neckbands. Of course when you are buying your knitting supplies, knitting wool is going to be at the top of your list! Commercial wool comes in so many shapes and sizes these days that it can be hard to work out which type to buy. You will probably have gathered from wandering around this site that I am a big fan of 100% pure wool. I very rarely use anything else, but you can make some interesting items with the novelty yarns that are available. 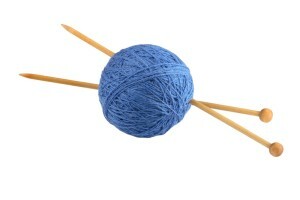 The wool available for knitting is either natural, man-made or a mix of the two. Natural fibres include wool, mohair and cotton. Synthetic fibres include nylon and acrylics. The one you select will depend on what you want to make and the use it will be put to. Although I personally don't like acrylics, I don't like knitting them and I don't like wearing them, I did use acrylic for a colorful floor rug that I crocheted for my grand-daughter. It is a reasonably attractive blanket and will be fairly hard-wearing, but what my daughter-in-law likes best about the blanket is that she can throw it in the washing machine and dryer! What type of wool are you going to choose? 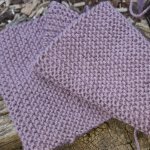 Are you looking for some good knitting books? All of the books reviewed on my knitting books page are in my own knitting collection. Some I use all the time, others only occasionally but all have been useful at one time or another. Before you race out and buy your books, have a look at my book reviews to find the one or ones that are right for you.